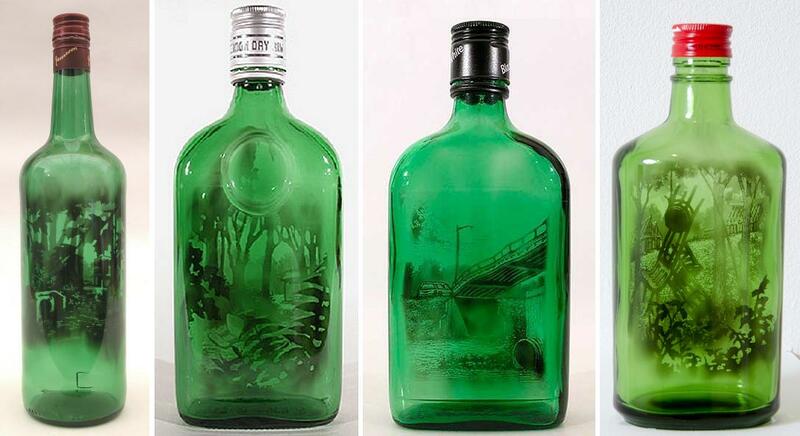 Artist Jim Dingilian is creating unbelievable images on glass bottles. He makes candle smoke paintings. The artist keeps his unique technique secret. It’s only known that he uses candle light and special tool. Dingilian burns bottle glass from inside. Then he takes a special tool and shapes various landscapes removing unnecessary residue. With the candle smoke the artists creates scenes depicting suburban landscapes. According to Dingilian, suburbs are an unusual mixture of nature and urban life. They keep some danger and mystery that has not yet been disclosed by anyone. The bottles add to the implied narratives of transgression. 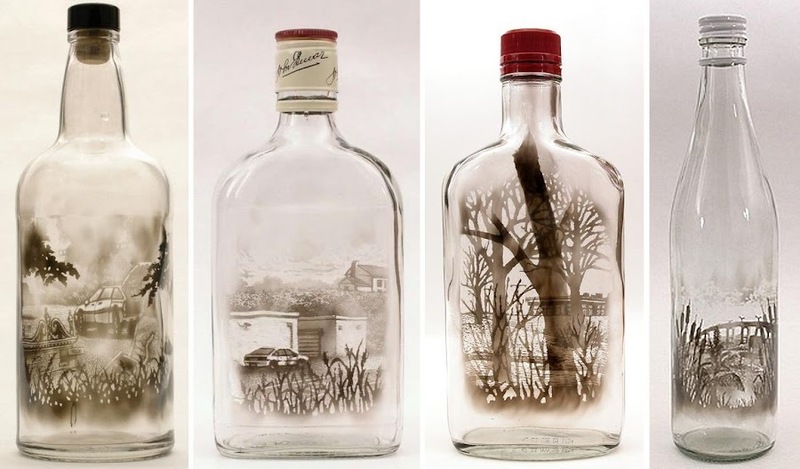 When found by the sides of roads or in the weeds near the edges of parking lots, empty liquor bottles are artifacts of consumption, delight, or dread. 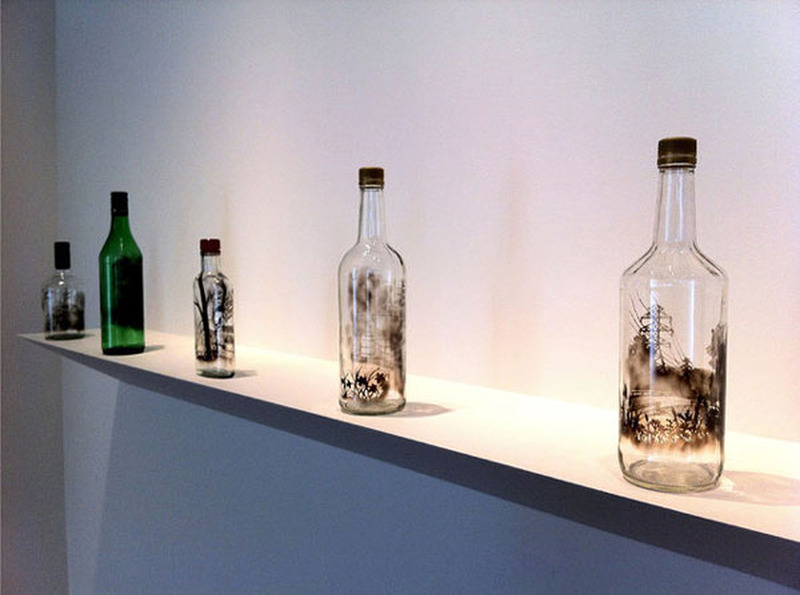 As art objects, they become hourglasses of sorts, their drained interiors now inhabited by dim memories, says the artist.